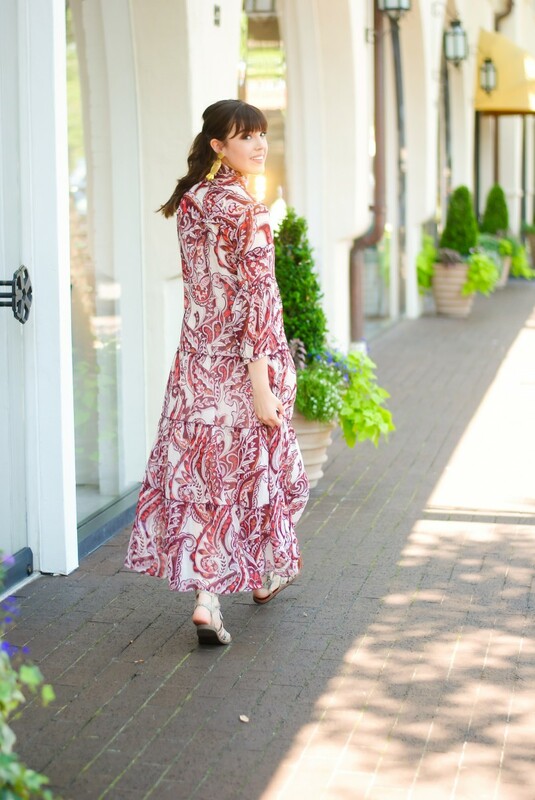 I am crazy about this summer maxi dress, and I think that’s mainly because Olivia Palermo has something to do with it. 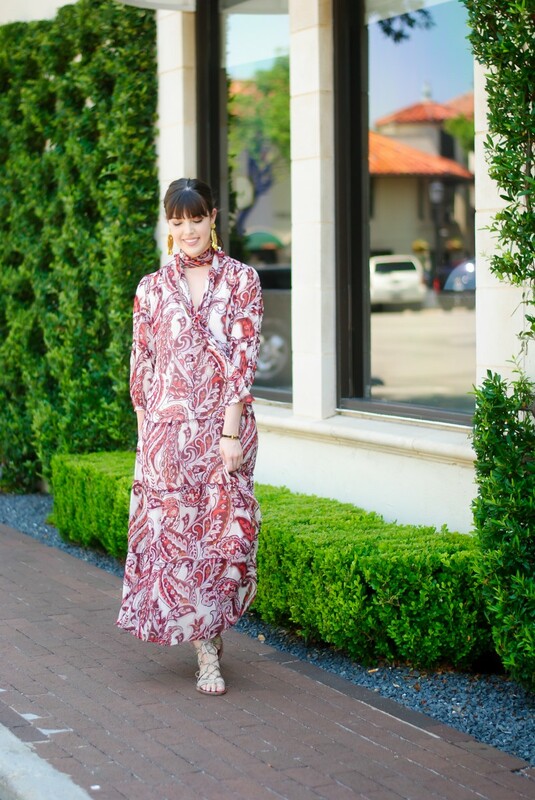 The pattern is so striking in photos AND serves as a great base for an outfit during the day or night. 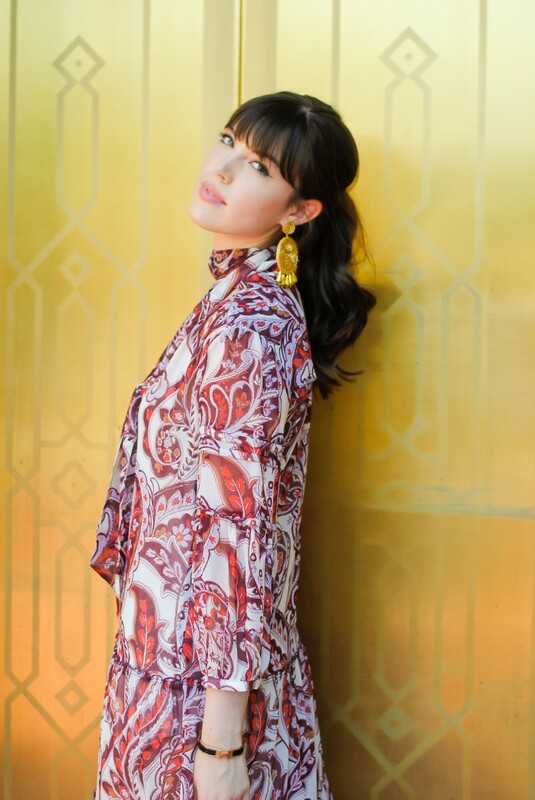 The attached neck scarf lends itself to styling the dress different ways – I chose the more choker-style for this look since those are so “in” right now! But then there are the EARRINGS…I mean. They are amaaaazing – you’ll definitely be seeing a lot more of these in my future posts. They are for sure worth the investment in this color! 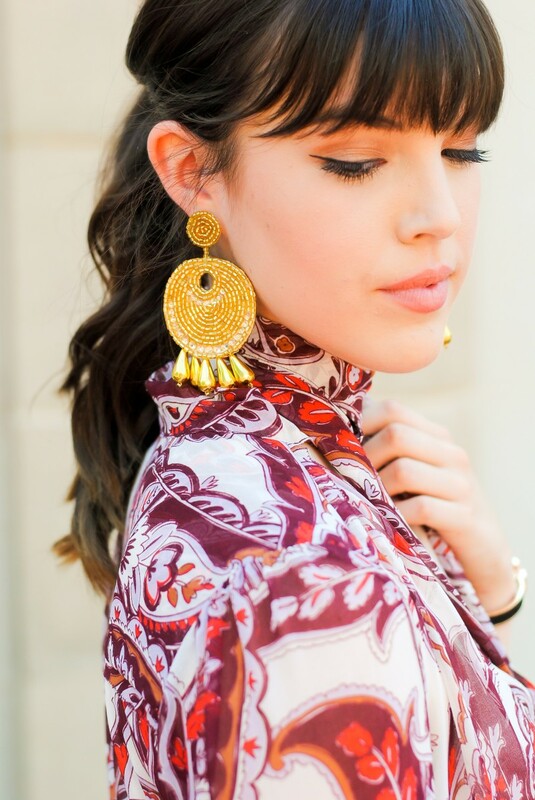 Nothing like a statement earring you can wear with anything. Thank you for reading, loves!